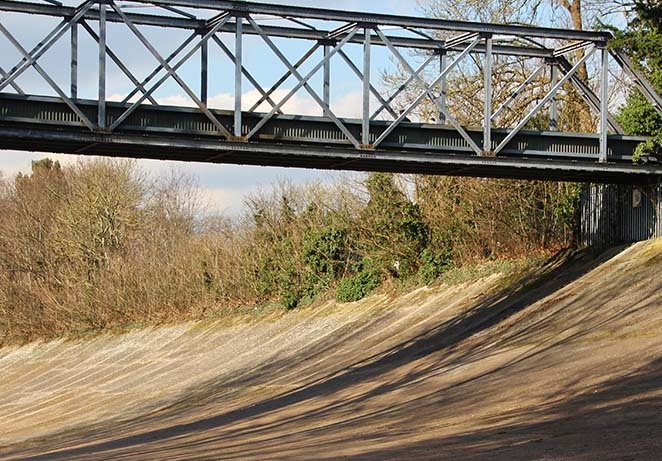 Brooklands, the world's first purpose-built motor racing circuit, was built by local landowner Hugh Locke King on 330 acres of farm and woodland on his estate at Weybridge in Surrey. Work commenced in late 1906. As soon as the design of the track was entrusted to Colonel H.C.L. Holden of the Royal Artillery, the original plans began to grow beyond Locke King’s wildest expectations. Far from his initial idea of a simple road circuit, Locke King was persuaded that, in order for cars to achieve the highest possible speeds, with the greatest possible safety, the 2¾ mile circuit would need to be provided with two huge banked sections nearly 30 ft. high. The track would be 100 ft. wide, made of concrete and include two long straights, one running for half a mile beside the London to Southampton Railway, and an additional ‘Finishing Straight’ passing the Paddock and enclosures, bringing the total length of the track to 3¼ miles. This outstanding feat of engineering was built in only nine months and eventually cost Hugh Locke King his personal fortune, a price equal to nearly 16 million pounds today. 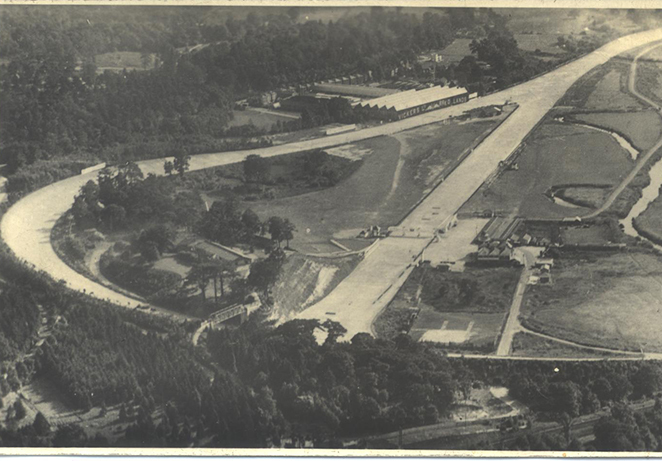 Before the first race was even run, Brooklands was the venue for a dramatic speed record attempt. A few days after the ceremonial opening of the Motor Course in June 1907, the motor-racing pioneer, Selwyn Francis Edge, used the Track for establishing a 24 hour record. 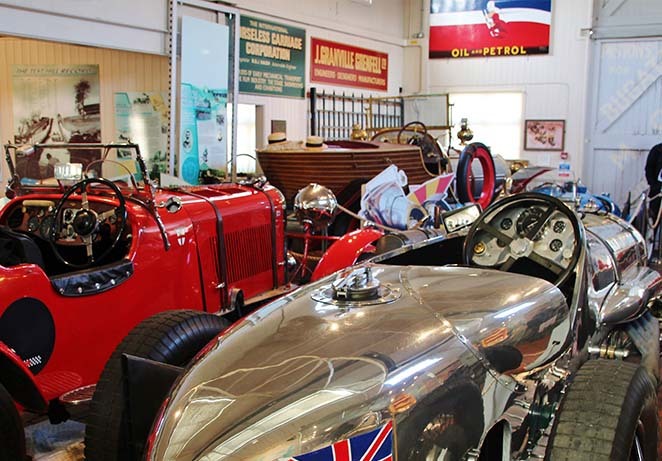 With hundreds of roadside lanterns to mark the inner edge of the Track and bright flares to illuminate the rim, Edge drove his green six-cylinder Napier for the whole 24 hours covering 1,581 miles at an average speed of almost 66 miles an hour. Supported by two other Napiers on the run, Edge established a record which stood for 17 years. The first official race was held on the 6th July 1907 and was greeted by the press as a ‘Motor Ascot’. 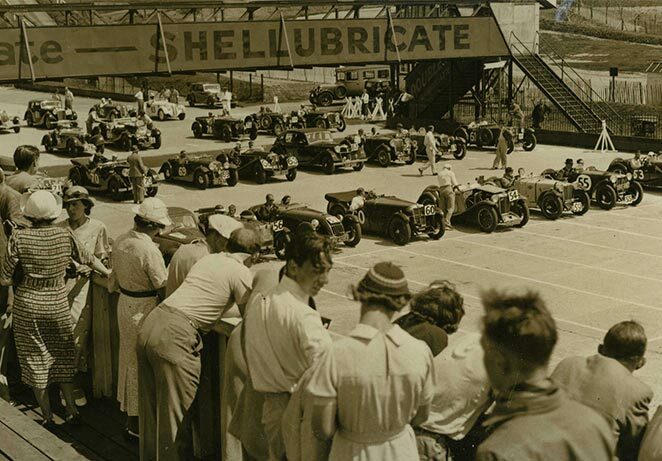 Because Brooklands was the world’s first purpose built motor racing circuit, there were no established rules to follow. To begin with, many of the procedures were based on horse racing traditions, partly in an attempt to attract a ready-made audience to this new and curious sport. Cars assembled in the ‘paddock,’ were ‘shod’ with tyres, weighed by the ‘Clerk of the Scales’ for handicapping and drivers were even instructed to identify themselves by wearing coloured silks in the manner of jockeys.